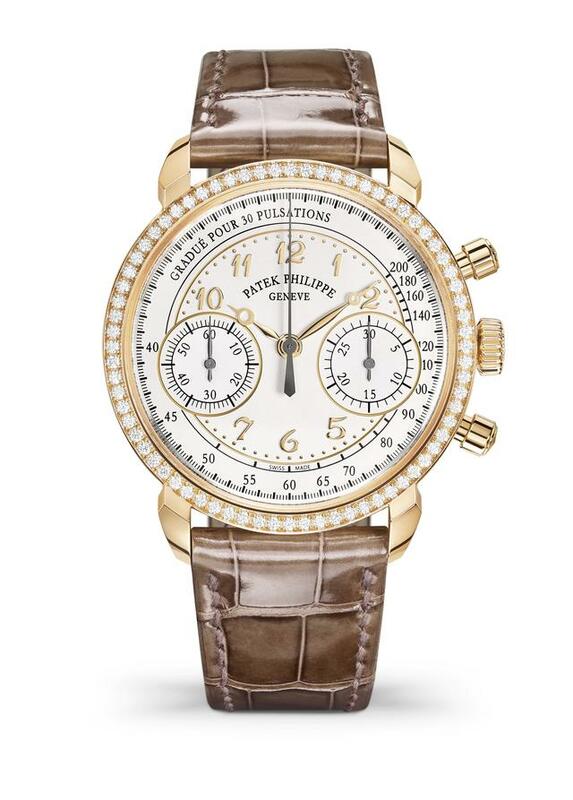 When Patek Philippe introduced its premiere in-house column-wheel chronograph in 2009, the Geneva firm surprised almost everyone by introducing this prized complication in the form of a watch intended exclusively for feminine wrists. That Ladies First Chronograph Ref. 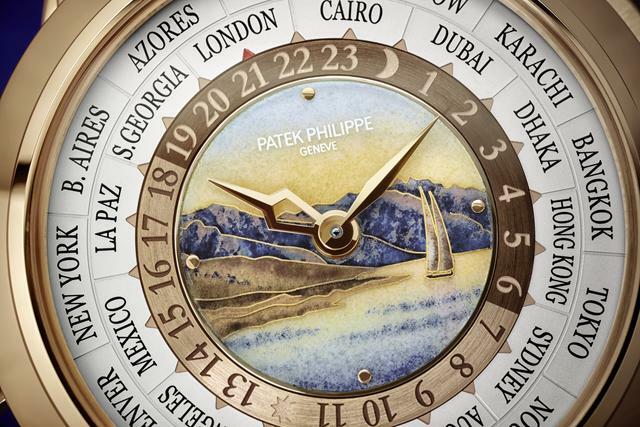 7071, a now-prized cushion-shaped example of Patek Philippe’s technical and design finesse, remained in the collection until 2016. 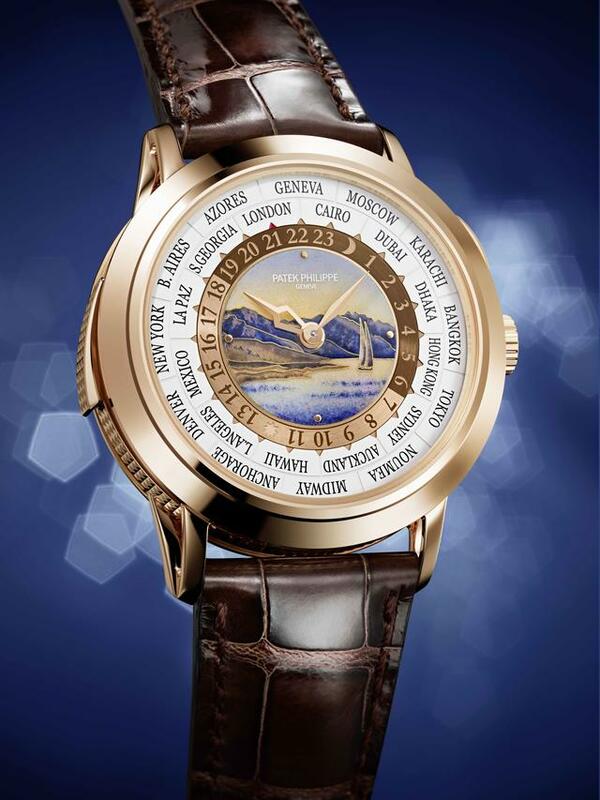 This year Patek Philippe puts a new face on that groundbreaking design with new Ref. 7150/250R-001, a 2018 debut that underscores Patek Philippe’s rich history as a maker of complicated wristwatches for women. 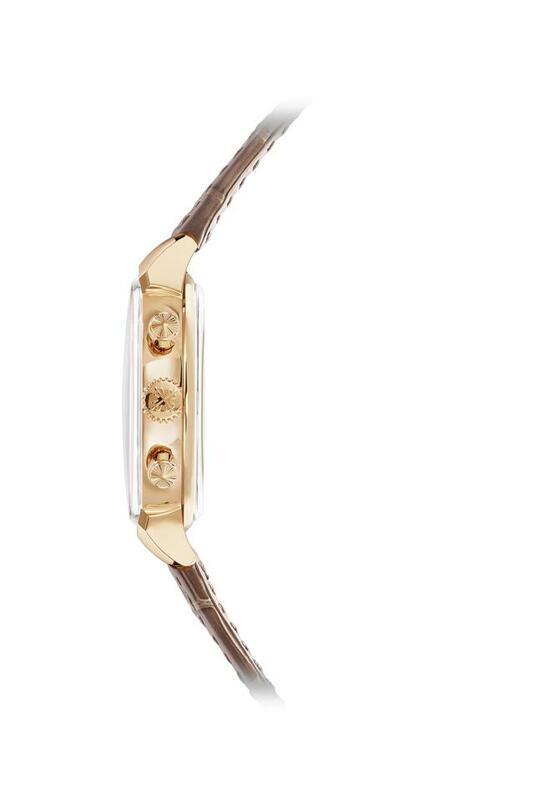 More than a few of the brand’s technical debuts can be found within its collections made for women, including its first wristwatch (from 1868) and its first chiming model (from 1916). A Patek Philippe movement originally designed for a ladies pendant watch served as the basis of its – and likely the world’s – first perpetual calendar wristwatch (1925). With the new piece, Patek Philippe replaces the earlier edition’s cushion-shaped case with an equally elegant, 38mm round rose-gold case set with a 72-diamond bezel. The new look is actually vintage-inspired, with a fluted and curved lugs, round chronograph pushers (each guillochéd by hand, naturally) and a cambered sapphire-crystal “box” glass. The silvery opaline dial also mixes old and new as it features Breguet hour and minute hands in rose gold, but places them within a contemporary dial layout. Patek Philippe adds a pulsimeter scale here as an “ode to the tradition of classic chronographs that can measure the cadence of an active lifestyle or the slightly increased heart rate of its proud owner,” according to the company. 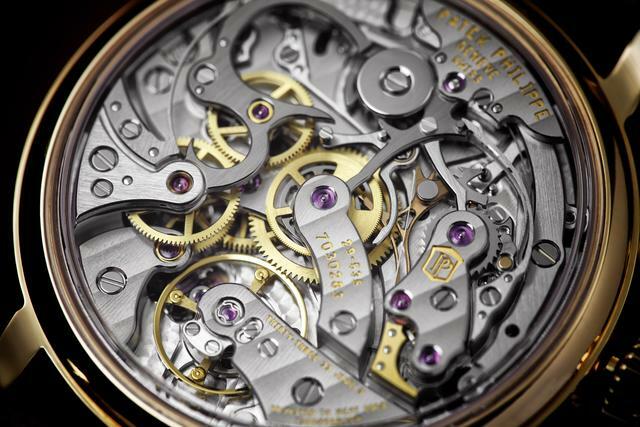 The movement inside the relatively small case is Patek Philippe’s manually wound caliber CH 29-535 PS movement with an instantaneous 30-minute counter. 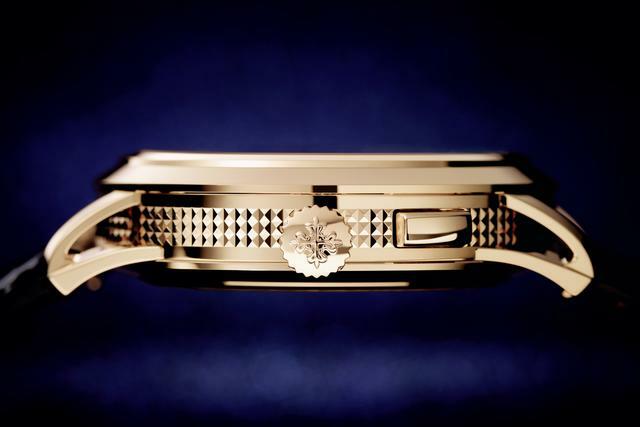 It can be seen in all its highly finished glory through the box-type sapphire-crystal case back. Now that Ref, 7071 has been retired, this new Ref. 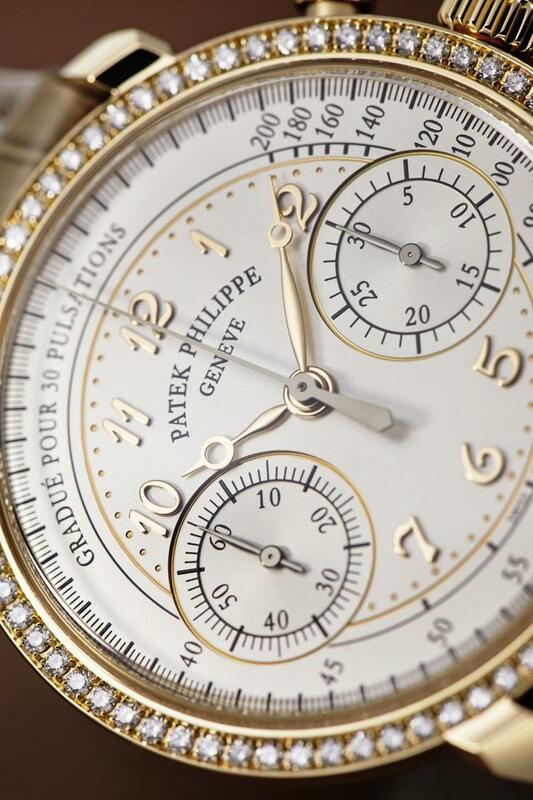 7150/250R-001 is the only chronograph in Patek Philippe’s collection specifically made for women. Price: $83,918. If you attended last year’s incredible Patek Philippe exhibition in New York, you likely saw the new Reference 5531 New York Special Edition World Time Minute Repeater, which the company offered as an exclusive debut for the United States. That world debut grand complication, with its stunning New York City dial, is the first minute repeater to locate the wearer as he or she plays the chime for any location anywhere. 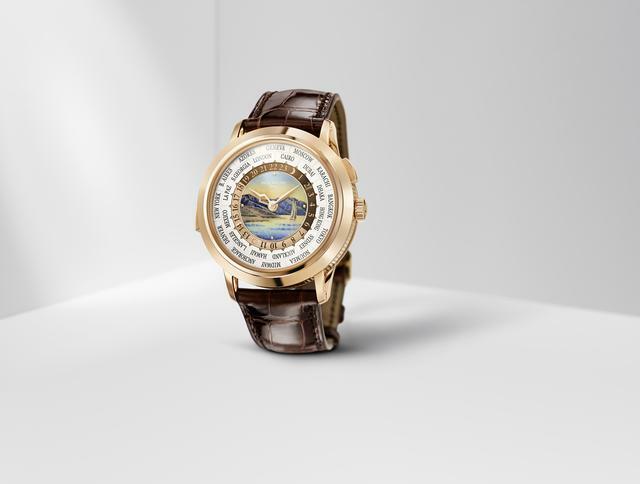 The piece combines two of Patek Philippe’s most highly coveted skills: making chiming watches, and creating World Time watches with cloisonné enameled dials. For Baselworld 2018 Patek Philippe has placed a new Geneva-centric dial on that Ref. 5531. 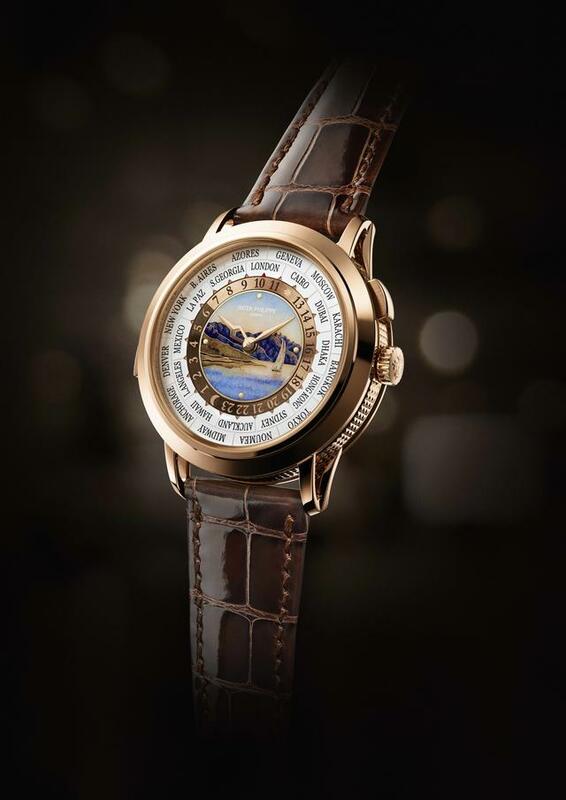 The newest dial is a cloisonné enamel depiction of the Lavaux vineyard terrace region on the shores of Lake Geneva, a UNESCO World Heritage site. Dial view of Reference 5531R, which shows cloisonné enamel depiction of the Lavaux vineyard terrace region on the shores of Lake Geneva. The silhouette of the pierced hour hand is inspired by the “Southern Cross” constellation. It always indicates the local time in the city aligned with the 12 o'clock position. The times of the other 23 world time zones are displayed opposite the respective place names by the concentric 24-hour scale that doubles as a day/night indicator thanks to its two differently colored ring halves. The new Patek Philippe self-winding caliber R 27 HU developed for the original watch is a 462-part complication protected by a rose-gold 42mm by 43.8mm case. On the case band you’ll find a hand-guilloché hobnail pattern. Back view of Ref. 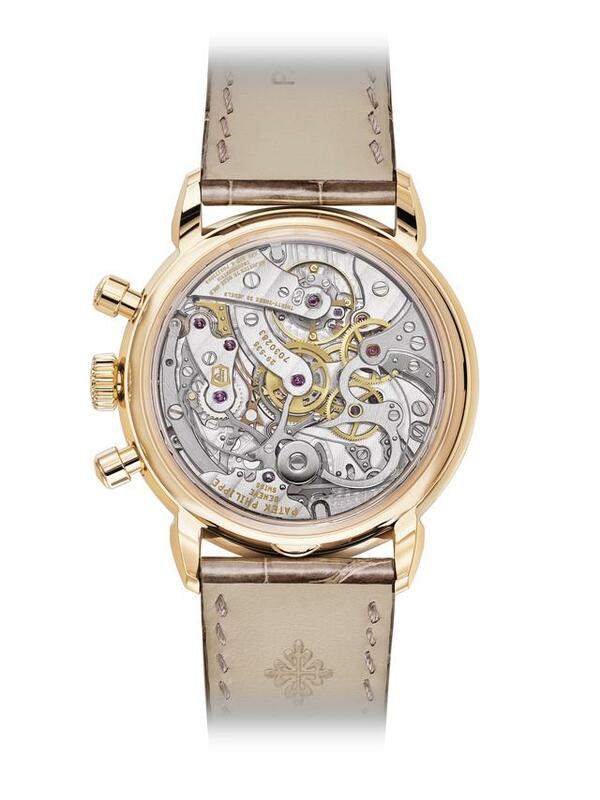 5531R, showing minirotor in 22K gold, which is fully recessed in the movement and exhibits a hand-guilloched hobnail pattern. Crown side view of Ref. 5531R World Time Minute Repeater. 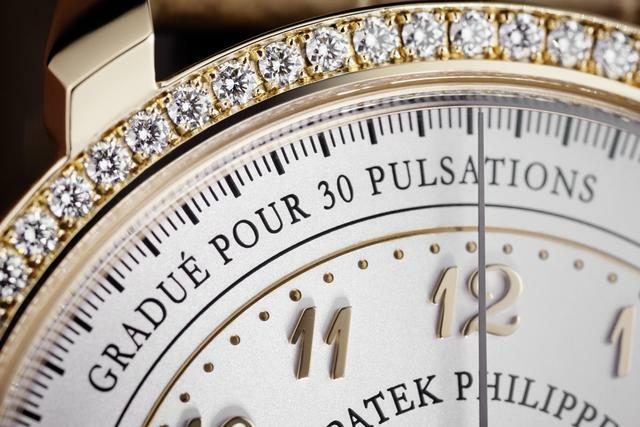 Patek Philippe has placed this newest Ref. 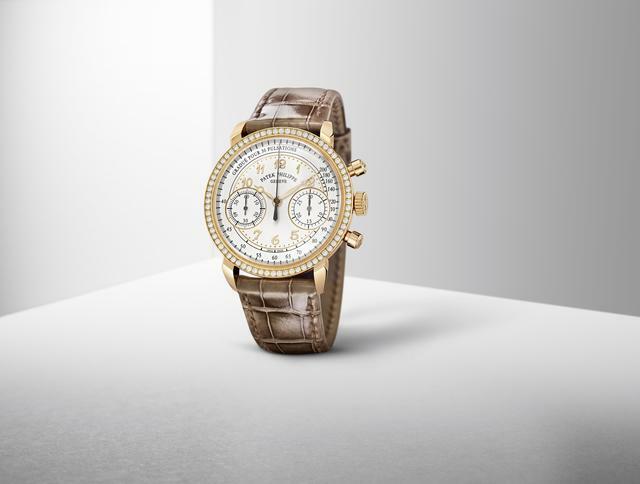 5531R World Time Minute Repeater on a shiny chocolate brown alligator leather strap with a fold-over clasp in rose gold. Price: CHF 495,000, or about $522,000. Strap: Alligator leather with large square scales, hand-stitched, shiny mink gray, prong buckle in 18-kt. rose gold with 27 diamonds.